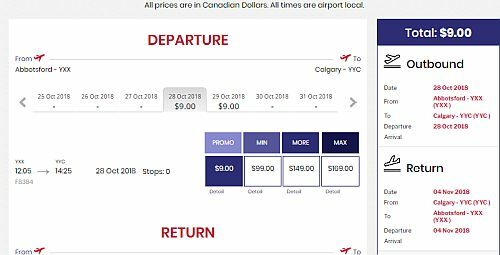 Flair Air has dropped the price of some of their late October and early November flights down to between $108 and $168 CAD roundtrip including taxes. $108 roundtrip is the 'personal item only' price. $168 roundtrip is the price with carry-on luggage included (for a fair comparison against WestJet and Air Canada). 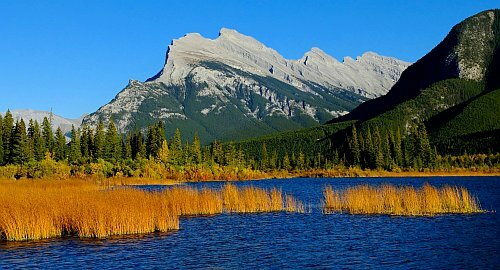 There are also some $9 flights available (personal item only) for one way travel from Abbotsford to Calgary. NOTE: The mobile version of the Flair Air website does not have these prices. You need to use the regular version of their website.